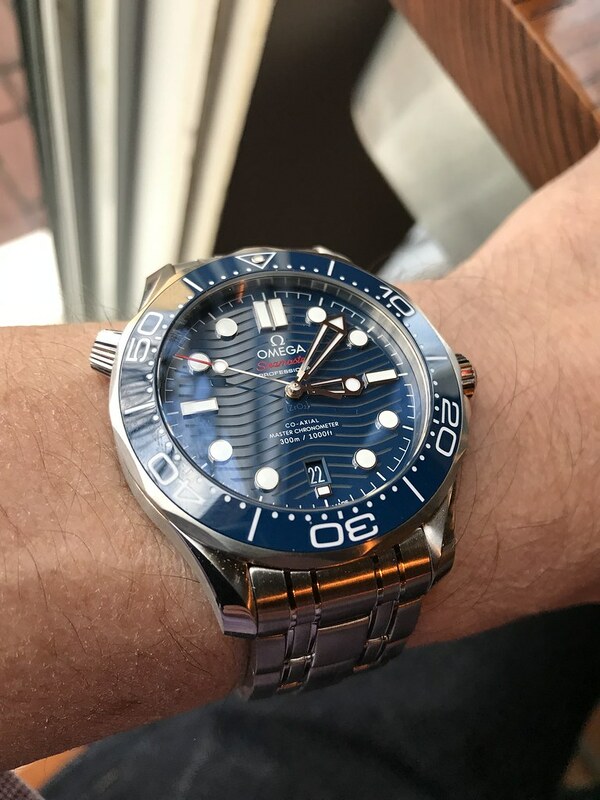 TimeZone : Omega » New arrival! Santa came early . . . Awesome watch, huge congrats. I can't wait to see them in person. Congratulations. 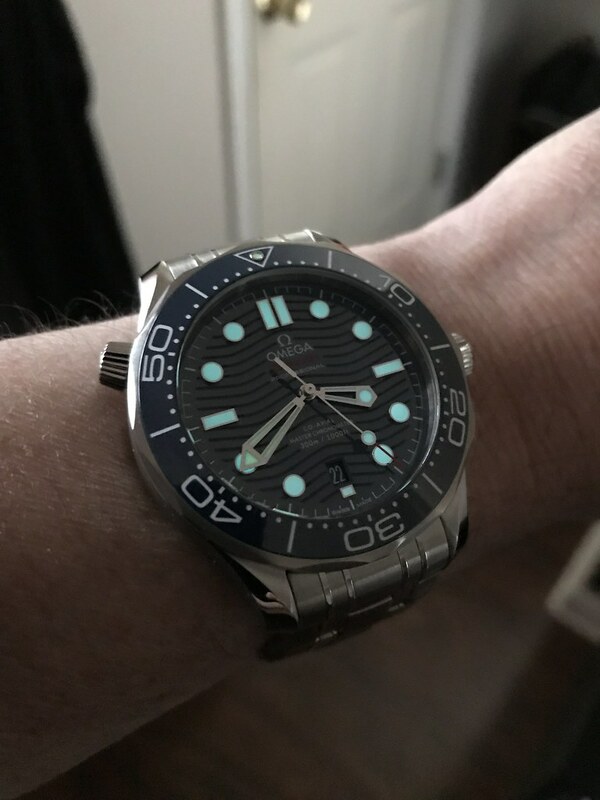 Nice watch and I hope you have many years of enjoyment with it. looks fantastic! congrats on the purchase! have to agree that in the flesh....this piece looks so much better/fantastic. great pick up. congratz and enjoy! A model I like very much myself and easily could pick up. This very exact model. 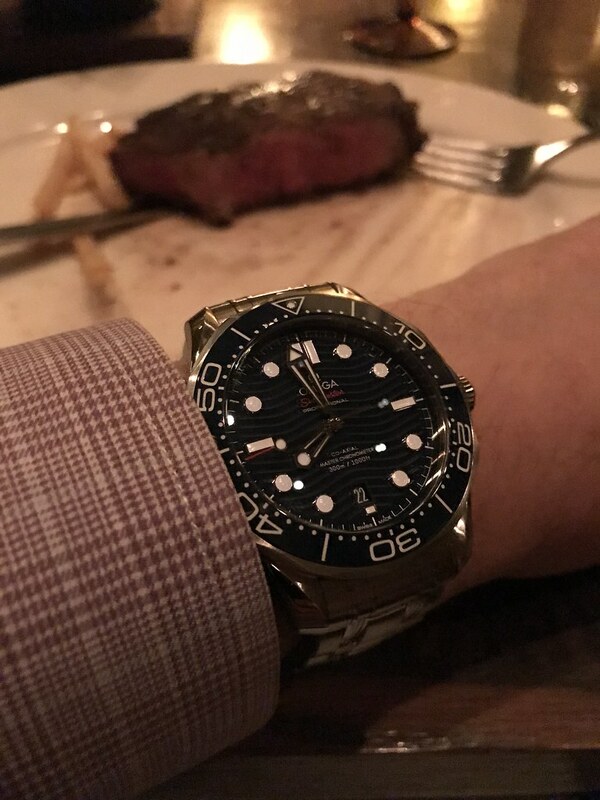 Congrats on a stunning watch! I've had mine for a month and love it! Very nice add, Congrats & Enjoy. 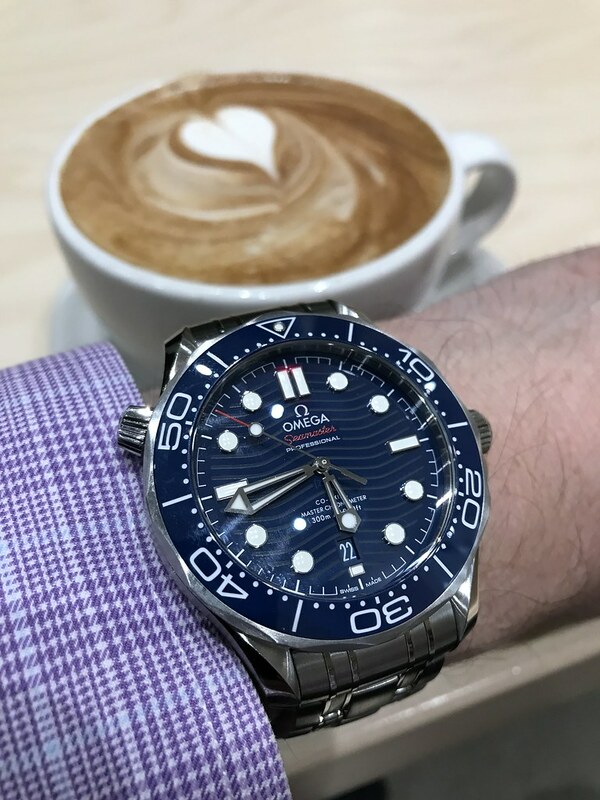 Nice watch! 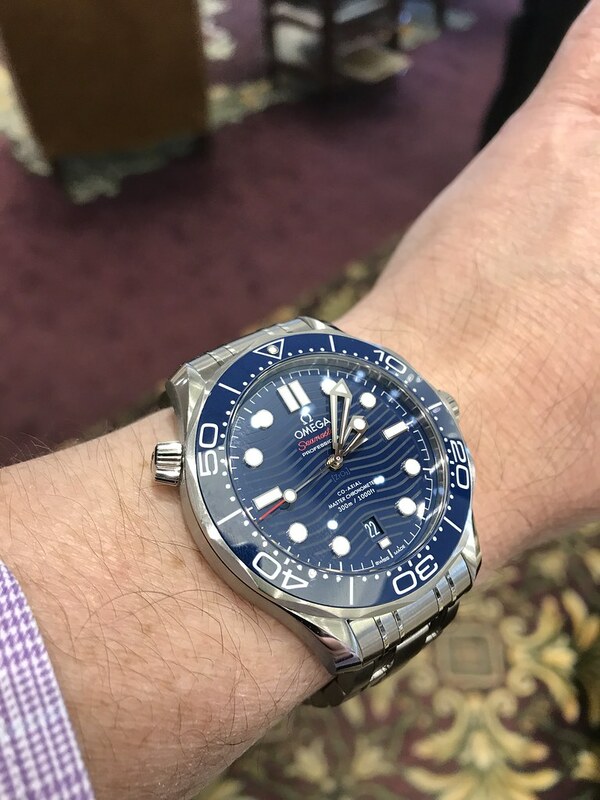 It's featured in the Omega Seamaster 300M Diver Magazine I received a couple of months ago. If you don't have this magazine, you should look for it from Fratellowatches. 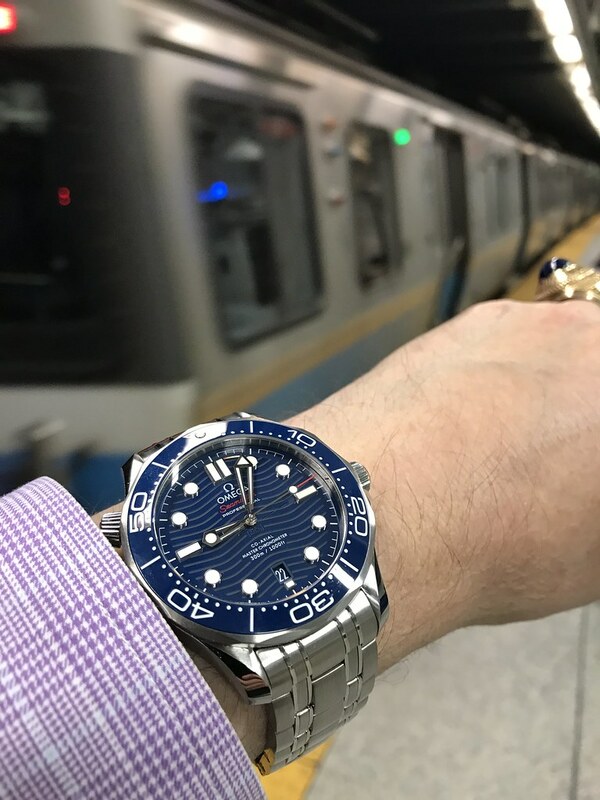 I like the shot with the watch in the foreground and the train as a backdrop. Timing the arrival eh? What is the model # on that with the bracelet? Wow, stunning. 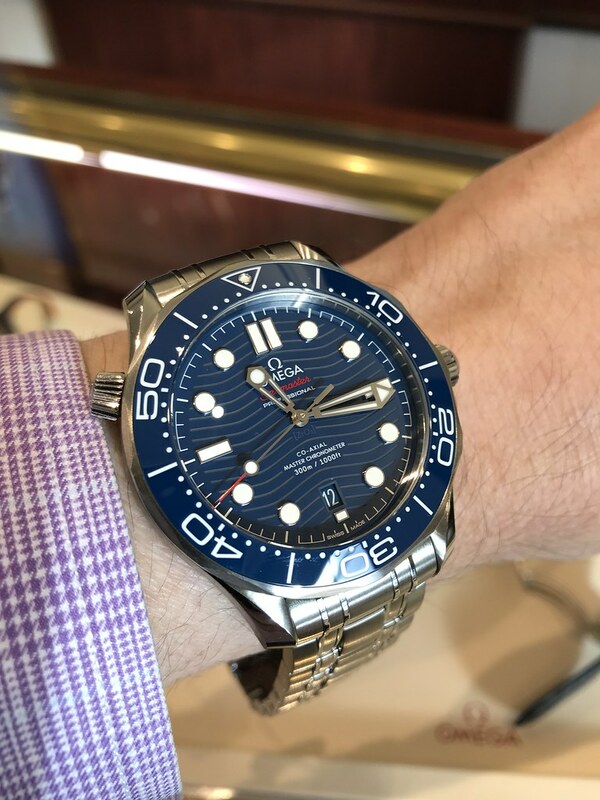 The new blue wave dial is gorgeous. Enjoy it! Next Topic: SMP Hesalite -- but new, or vintage?